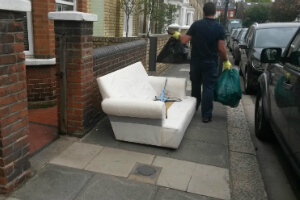 Industrial & Residential Junk Removal Twickenham TW | Quality Property Care Ltd. Call our client care service now, or send an on line request and you will get an approximate price quotation based on your description of the junk and the service required. For homeowners we can take care any size of rubbish removal, from a few packages and boxes to a big load of trash. All of the materials we dispose of will be driven to the closest location for recycle, with all of the fees and charges covering not only our work but also any fees that apply to the proper disposal of the materials and waste. It is prefered that your rubbish and junk are all package up, even so, we can cope with that as well. We can remove single mattresses, kitchen units, tables, TVs, dryers,, 3 seater sofas, armchairs, double mattresses, 2 seater sofas, , king sized bed, microwaves, divan beds, ovens, mirrors, washing machines, PC monitors, cupboards, carpets, bathtubs, wardrobes, books shelves, freezers, TV stands, single beds and much more. Items like fridges and fridge doors, TVs, microwaves, tires, air conditioners, and such demand more fees for right disposal. We can remove both industrial and household construction materials from sights, beginning with plastic, timber, metals, wood, glass, rubble, soil, cement, concrete, bricks, plasterboards, tiles and ceramics. Here we charge by weight for construction products with the most common materials being timber, rubble, cement and soil. Quality Property Care Ltd. has been delivering its professional junk removal services to the residents and businesses of the area for more than TEN years. The experience and ambition of the operations have allowed the establishment of very efficient, eco­friendly and affordable clearance, waste removal and waste disposal services. The customers will basically save money by hiring the professional waste removal and disposal services of the firm, rather than hiring a skip, as well as dealing with the council. The firm has vans to load and transport the trash, and works with a number of recycling centres and disposal sites in Twickenham TW, so that there is always dumpster which is quite close and is suitable for disposing the collected junk. Once you book your onsite meeting, one or more rubbish collection experts will arrive at the spot which needs to be cleaned, or where the rubbish will be stored. Based on the kind, volume and situation of the waste which needs to be collected, the experts make an estimate. The customer is not required to agree with the offer. In case the rate satisfies him or her, the rubbish collection and rubbish clearance begins. The technicians from Quality Property Care Ltd. pick up the waste and transport it, gardening waste or any other type of trash to the most suitable and nearest recycling hub or dumpster. 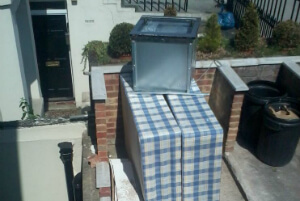 To arrange the junk removal service you need, all you need to do is send an online booking form or call up 020 3746 4287. The customer care service is available and will be back with a written confirmation straight away. If you consider to book combined services, such as: builders waste removal along with after builders cleaning, or garden waste removal along with gardening services, you will acquire very nice discounts! Book now, no downpayment is needed! You can book the junk removal services on weekends and bank holidays with no fee added. Also, same day service booking is available.